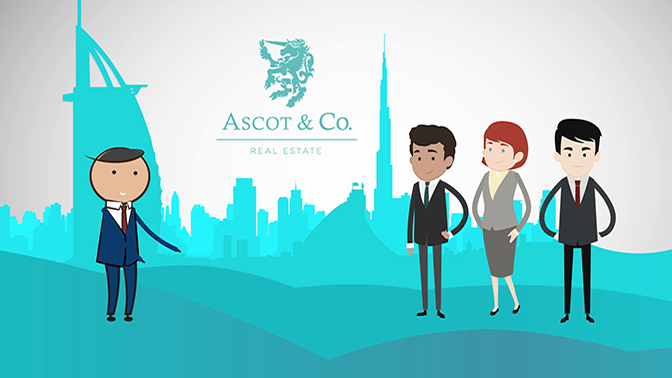 Ascot & Co is a UK-style estate agent for the Dubai property market. This means we take the time to create real, long-lasting relationships, creating an experience that everyone would want to repeat. We have a small portfolio of clients, so whether you’re buying or selling you have our undivided attention, and can benefit from our expertise, delivering an efficient but friendly service tailor made for each of our customers. We intend to be the market leader in our chosen areas, with the best and most valued staff in the business delivering the finest customer service. With 25 years of industry experience – both here and in the UK – under our belts, we know what it takes to make our clients happy. We constantly communicate, provide current and comprehensive market knowledge, and offer honest and practical solutions to buying and selling in the UAE. Our website and marketing tools are cutting edge, and with everything from social media to newspapers, plus all the major property portals and plenty of online presence, your property will benefit from the most effective exposure in the market. Ascot & Co also has in-house experts to help you at every turn, from a mortgage consultant on hand to get you the best possible rates, to our conveyancing officer, who will hold your hand every step of the way. This is a fast paced market and having specialists covering every aspect of the property market is what we believe keeps us, and our customers, ahead of the competition. As well as being property experts, we live and work in Dubai, too. We’ve made our home here – we know it and we love it. Check out our lifestyle Social Media accounts for the inside scoop on a cool new café that’s opening around the corner from you, to which of the neighbourhood barbers you can actually trust. Truly rooted in the community, Ascot & Co cares about the same issues as you do, add your own voice to the Twitter conversation using #LivingAscot. If you would rather meet face to face we have carefully chosen to open our office right in the centre of the communities we live and work in. It would be a pleasure to meet you.